This wonderful west-end food shop is celebrating a special 15th anniversary on Saturday — and owner Fahim Alwan and his team are throwing a party to celebrate! BlossomPure Organic specializes in grass-fed organic Halal meat and dairy products, not to mention a fine line of organic-based fresh produce, fruits, cereals, honey, condiments, spices, herbs, maple syrup, and so much more. What started as a tiny shop at the end of a strip mall has, well — blossomed! — into a substantially bigger store brimming with even more great goods, including fish and deli meats made with no nitrate, gluten or filler, and hotdogs and sausages made from lean ground meat. Although the company has grown, Alwan’s message has remained the same: Reverence for the earth and the humanity of the animals (ethically raised; not confined or injected with growth hormones, fed only organic feed and raised on local Ontario farms by certified organic farmers). Alwan still travels all over southern Ontario to source the goods, personally visiting all the farms he does business with. This guy knows where every single product comes from — and he won’t sell anything he won’t eat. Apart from the wholesale and retail, there’s now home-delivery, as well as supplying restaurants. BLOSSOMPURE ORGANIC: 100 The East Mall, No. 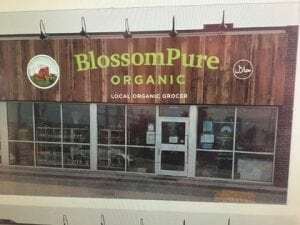 13 (The East Mall and North Queen St.), Etobicoke; 905-891-2005; Blossompure.com. Celebrations on Sat. Sept. 23 with product samples, goodie bags (while supplies last), discounts, and a BBQ from noon until 5 p.m.